Track is closed prior to each point's day. Open Days and State Rounds the track will close 1 week before the event. A notice will be placed on the W AJMCC Facebook page so keep an eye out for updates. 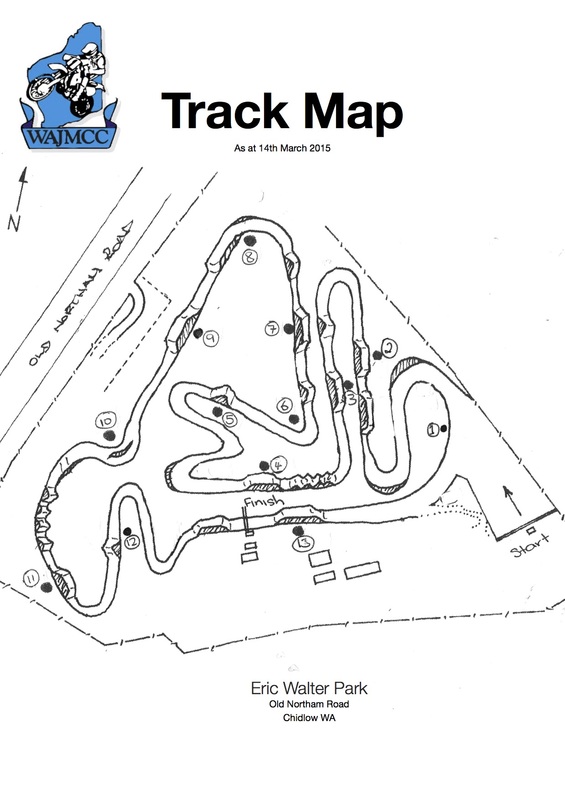 The main priority we have as a committee and a hard packed junior track is to have not only a very safe and fun environment for 4 year olds on pee wee machines, but also to keep it interesting and challenging enough for our 16 to under 19 years olds on 250F machines. The track is a hard packed surface, which is ideal for younger riders and those new to the sport to be able to learn bike control and the skills needed to be competitive. We have reduced the number of flag points in 2017 whilst still ensuring the safety of our riders, volunteers & officials. This year the committee wil endeavour to make further improvements to the track and club room areas as we seek to provide the best hard packed track possible.